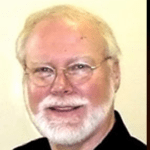 Mark W. Cadwallader is Board Chairman of Creation Moments and has served on the Board since 1996. He holds a Master of Science in Chemical Engineering from the University of Houston and has worked as an applied materials scientist and engineer in plastics, oil additives, and pollution control for 20 years. He operates his own consulting firm, providing product development and expert failure analysis among other services. 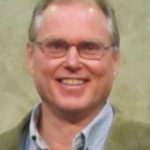 Mark has been a supporter of Creation Moments since 1983 and credits the ministry for opening his faith to the unerring credibility of the Bible in all areas including science, and thus helping to transform his life. 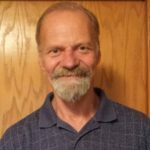 Mark has published over 100 articles and conference papers in his scientific field of expertise as well as in Creation Science and apologetics. He is a conference and seminar speaker in his field of geosynthetics and pollution control, and in Creation/Intelligent Design. He has given expert testimony before the U.S. House of Representatives Committee on Hazardous Materials. Mark and his wife Susan homeschool their six children in Conroe, Texas. Dr. Clark is Chief Financial Officer & Business Counsel for Orphan Relief and Rescue in Seattle, Washington. Before joining Orphan Relief and Rescue, he and his wife, Andrea, served with Mercy Ships for five years. He has helped found and manage several non-profit organizations including Orphan Relief and Rescue, Sharing International, and Mission Direct (US). Dr. Clark has a Ph.D. in Physical Biochemistry. He served as director and Vice-President for several pharmaceuticals, bio-pharmaceutical and biotechnology companies. He has served as a board member for a Christian school, and for several non-profit ministries. 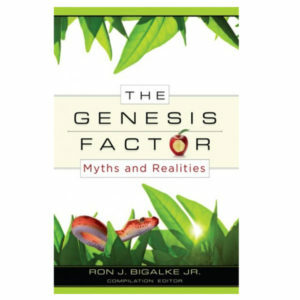 Click here to listen to Jim and Dr. Don Clark discussing biblical creation and related issues. Ian was born in the UK and graduated with degrees in metallurgical engineering. He immigrated to Canada and spent 19 years as research metallurgist with the Aluminum Company of Canada and obtained patents, including a novel process for the manufacture of armor plate. He became a Christian in 1974, lost his position as metallurgist and joined David Mainse, Canada’s TV evangelist. He became a producer of 39 television programs of the “Crossroads” series, including a 13-part TV episode exposing the fallacies of the theory of evolution. He wrote the book In the Minds of Men: Darwin and the New World Order in 1984. 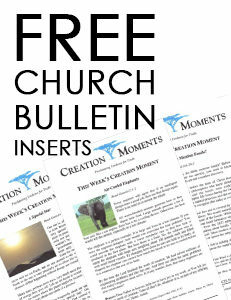 In 2008, the book was updated and expanded to 518 pages, and it is available from Creation Moments. In 1996, at the invitation of Creation Moments, he moved to Minneapolis and, working under the terms of NAFTA, became President and the voice of the Creation Moments daily radio program. 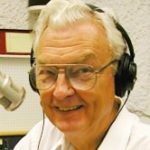 After two years he returned to Canada and is still the voice of this popular radio program now heard daily on over 1,300 stations in the US and around the world. He continues to research and lecture and has traveled throughout North America, most of the Southeast Asian countries including central China, Russia, the Balkan countries including the Crimea, many European countries and the UK. Terry became a Christian when he was 32. Shortly after that, God troubled him about the creation/evolution conflict. Always one to be snooping for information, he stumbled onto an old video by Henry Morris in the library. This was the first message he had heard about this subject, and it made complete sense to him. This subject soon became a lifelong interest and led him to hang around the Creation Moments group since the mid-1990s. Terry has worked as a machinist his entire adult life. Today he has a small shop of his own called Pilgrim Industries. It is located on his farm. Terry and his wife, Cindy, were both raised on a farm. This influence brought them to their own farm in 1993. This has turned out to be an ideal place to homeschool their nine children. They like to grow as much of their food as they can. 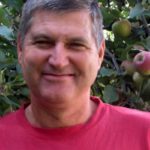 Through this, Terry has become particularly interested in grafting and growing apple trees. When he can get away, you will find him out on the water, fishing and praising God for his creation. Norris Johnson’s most vivid memory of high school has to do with his biology teacher, a diehard evolutionist who allowed absolutely no one to question the theory’s validity. After he dared to ask troubling questions about evolution, his grade plummeted from an A to a C – the only C he ever received in high school. Norris will never forget the teacher’s “ultimate proof” of evolution – goosebumps, which the teacher said proved that human ancestors had once been covered with fur. That experience put Norris on a path to learn everything he could about evolution, eventually leading him to teach youth and adult biblical creation classes at churches in his area. Whenever he had questions, he would spend hours talking to Ian Taylor and others at the Creation Moments offices. Several years later, he was asked to become a member of the board, which he eagerly accepted. Norris and his wife live in Milaca, Minnesota. They have four children and nine grandchildren. Knowing that his family members are being pressured to believe in evolution – just as he had been in high school – has made him more determined than ever to reach young people with the truth of biblical creation.